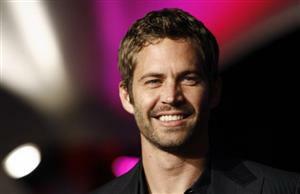 Actor Paul Walker's family wants to honour him in a special way and plans for his funeral are underway. “The Fast & Furious” star died in a crash after a charity car show in Santa Clarita, California Nov 30. He was 40. After learning from Walker’s Dec 4 autopsy report that he died from traumatic and thermal injuries following his horrific car crash, his family is still trying to accept the fact that he’s really gone. Now they are planning an emotional final goodbye to Paul, reports HollywoodLife. “They have not decided when the funeral will take place, it is still a work in progress,” said a source. “They want to make sure that everyone who wants to mourn will be together and all schedules match. They hopefully will have more of an idea next week,” the source added. Walker had been dating 23-year-old student Jasmine Pilchard-Gosnell for seven years and she is being now comforted by her mother, Julie, as she struggles to cope following the “horrible” accident.